Let's get this out of the way right at the start - I really love Iowa and Iowans, and making a trip to Des Moines, the capitol city of the Hawkeye State, and to Ames is always something I look forward to as long as it's not in the dead of winter. I usually get to the Des Moines-Ames area every couple of years, and out of all the trips I take for this job it's one that I like the most. The region's golf courses are among the best and most underrated anywhere, and the residents here know enough to understand just how well they have it but smart enough not to brag too much. On my most recent trip to Des Moines and Ames, I was able to tee it up of four of the state's best golf courses - the Tournament Club of Iowa, the 36-holes at Des Moines Golf and Country Club, and The Harvester Golf Club - on three decidedly different pieces of land. The golf experience here, even if it doesn't rank - numbers-wise - with some of the country's top destinations for the grand game, is second to none and a worthy addition to any real player's bucket list. Our first stop on the trip was the Tournament Club of Iowa, which is located between Saylorville Lake and Big Creek State Park in Polk City, about a half-hour northwest from the Des Moines International Airport. The Tournament Club of Iowa is one of the top public tracks in the state. Designed by Arnold Palmer - it's the King's only public course in Iowa - TCI is a mix of parkland and links styles, with the first 16 holes winding through deep forests and rolling terrain and the final two holes emerging from the woods to offer a wide-open brawny finish. Palmer and his team moved more than a half-million cubic yards of earth to create TCI's layout over a 500-acre piece of land that cuts through dramatic bluffs and running ravines. The course plays to a par of 71, has four sets of tees and can stretch out to 7,059 yards. The course is a good mixture of open space and forest areas highlighted by hills, bluffs, ravines, valleys, and mature canopied trees, all that contribute to a naturalized look that is unique to Iowa golf. Water on in play on 13 holes. Along the way you'll play holes with severe elevation drops, such as: the opener, a par 5 with a huge ravine near the prime landing area before and over-and-up approach; the par 3 third, which drops 60 feet to a putting surface fronted by a lake; the par 5 fourth, another hole that plays right-to-left off the tee; and the par 3 eighth, carded at 234 yards from the back tees but playing perhaps three clubs less because of the prodigious drop from start to finish. The back-nine is a little flatter, but equally as quirky. The both the 10th and 11th holes are short par 4s and turn right to left, but the latter is played out of a chute and up to a green that's peanut-shaped and sloped front to back - it's hard to figure out just where to attack this hole because of its pinched landing area. You'll be tempted to try to drive the green on the dogleg-right 325-yard par 4 14th, but a huge swale just short of the green will swallow your ball and can hand you a score you don't want to even think about. It's followed by back-to-back par 3s on the 15th (195 yards) and the 16th (231 yards over a pond). After a lengthy ride from the 16th green to the 17th tee, the round at TCI ends with a brawling 640-yard downhill par 5 and a 459-yard par 4 with an approach over a large lake. These two holes are nothing like the rest of the course - but that's not a bad thing. If I was ever able to move to Des Moines, the first thing I would do is join the peerless Des Moines Golf & Country Club. My 36-holes-in-one-day experience here sets the bar high for the combination of unsurpassed golf - the club's two 18-hole courses were designed by Pete Dye - and a welcome membership. The courses remain the only Dye designs in Iowa and one of only a few locations where the master architect fashioned all 36 holes on one site. The North and South courses consistently appear highly ranked in the annual Golf Digest state rankings. The 471-acre layout emphasizes the curves and dips of the land, with undulating greens varying in size and pitch. Each Bentgrass fairway is blended into its own unique design with 120 bunkers and thousands of trees. All of this creates an exciting challenge for golfers of all levels. The club's lengthy and storied history includes hosting the U.S. Senior Open in 1999 and the Solheim Cup (women's pro golf's version of the Ryder Cup) in 2017. Both courses were renovated from 2013-2016 under the supervision of Dye and his associate, Tim Liddy, in advance of the Solheim Cup (which was played on a hybrid routing of holes of both the North and South courses). The renovation included building 94 new tees, work to improve 162 bunkers, 12 new greens, and facelifts on three more of the putting surfaces. The South course, opened in 1968, plays at a par of 72 and at 7,347 yards from the back tees. It's tougher than nails, with a succession of testing par 4s, bordered by deep rough and lengthy par 3s, the shortest of which is 183 yards. The North course is a little bit shorter at 7,301 yards and - from my point of view - a touch easier. After playing all 36 holes here on the same day, the holes that linger in my mind the most are on the North course - the par 4 eighth with its split fairway, (nearly) drivable par 4 10th, the isthmus green on the par 3 12th, and the downhill-then-uphill-across-water 633-yard par 5 closing hole. Des Moines Golf and Country Club is a must-play for golfers looking for real challenge and unsurpassed amenities. I have not stopped talking about the place from the minute I walked out of the clubhouse and relish the chance to tee it up there again sometime if I'm given the invitation. Up the road about 45 minutes northeast of Des Moines in Rhodes is The Harvester, a brawny, wild, big-shoulders course that's been ranked among the top tracks in Iowa and as a constant on the list of the country's best public courses since it opened in 2003. This Keith Foster design is nestled among the groves of trees and natural creeks, a championship golf course that seems to have been carved out by nature itself. 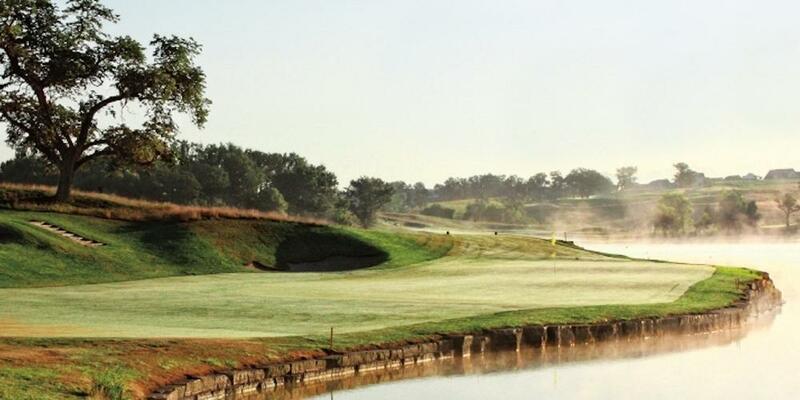 The Harvester is truly a unique golf experience within the state of Iowa, with fast and undulating greens, high fescue bordering the ample fairways, and rolling hills carved right into the Iowa landscape. The Harvester, which plays to a par of 72 and at 7,240 yards from the tips, stretches over 300 acres and boasts dramatic elevation changes throughout its design (up to 110 feet in some areas). The course plays around Lake Harvester and there are several small ponds and streams coming into play on the course. The rolling fairways play through natural wetlands and densely wooded areas. The greens are large (averaging 7,500 square feet) and a challenge to putt. Bunkering is at a minimum, but those that are present are generally large, flat and well placed to reinforce risk-reward play. You also have some rather unique holes, beginning with the 360-yard second, which offers a split fairway and a severely elevated green with a false front. Should you opt for the risky right side off the tee you'll need a minimum carry of 250 yards to get into the right position. There are plenty of ups and downs and wow-factor on a round at The Harvester, but let's skip to the finishing four holes. The 650-yards uphill (yikes!) par-5 15th called "Big Hog" is indeed a handful unless you execute three solid shots. When this hole plays into the wind, it's a legitimate par 6, or more unless you are on your game. The downhill 480-yard par-4 16th features a double cut-off fairway landing area and the player has to decide how far is enough to hit from the tee. Some big hitters may drive the ball into the waste areas that crosses the fairway at about 300 yards, but if you're good enough to hit the ball that far you should probably take a 3-wood off the tee anyway. The 180 par-3 17th features a cape green fronted by the lake frontal and is made more challenging by the diagonal angle of the green that suffers no fools, anytime. The closing hole is the course's grand climax. It plays at 565 yards and gives a boomerang look with water hugging the entire right side. One of the really unique aspects of the hole is how Foster inserts a fairway bunker on the left side of the hole that stretches to 305 yards from the tips, the amount of space between the left bunker and the water on the right will give better players some pause before pulling the trigger. There is a middle peninsula for those who opt for the three-shot hole sequence. Again, all the elements are tied together and The Harvester delivers consistently. There are no throwaway holes here. Every tee offers another picturesque view of a well-designed course. Quite frankly the course is stunning and incredibly enjoyable. 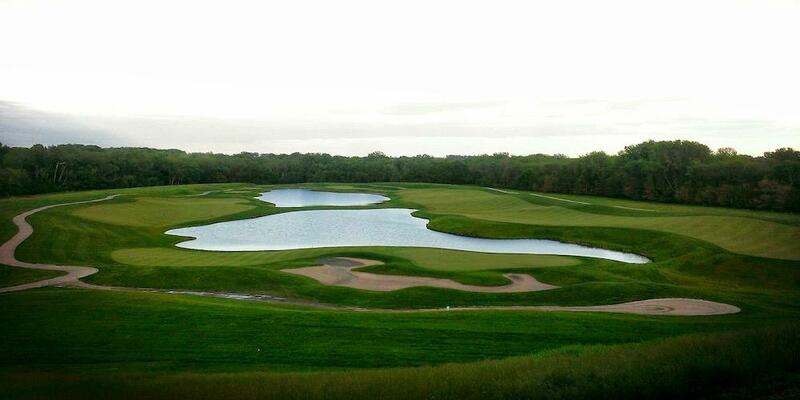 If you're in central Iowa and want a great test of golf and a wonderful experience, go play The Harvester. 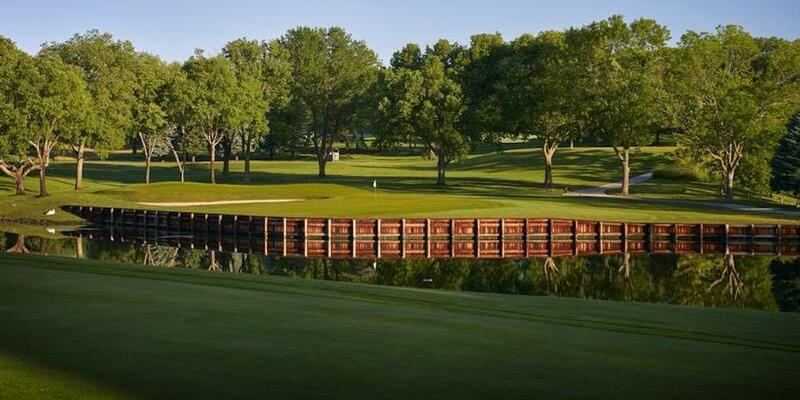 It's an absolute gem nestled in the middle of nowhere, a course that represents the best Iowa has to offer. This is a difficult (but not impossible) course, so understand that your game will be truly challenged. Good shots are rewarded, and you will have fun. We've just learned that The Harvester is closed for 2018 as Foster and his staff renovate and conduct improvements to the property. The course will be reopening in 2019 as a private club. Steve Habel is a contributing editor for GolfTrips and its associated websites. A 26-year industry veteran, he regularly contributes to various regional, national and international golf publications and has played and written about more than 1,600 golf courses around the world. Habel is also senior editor for Horns Illustrated magazine, a publication focusing on University of Texas sports, as well the San Antonio Spurs beat writer for The Sports Xchange. He is a correspondent for the Austin American-Statesman and frequently files stories and features for The Associated Press and Preferred Lifestyle magazine. Habel, who lives in the Austin, Texas area, has worked media coordinator for World Golf Hall of Fame player and golf architect Tom Kite as well as for renowned golf architects Roy Bechtol and Jeffrey D. Brauer. He is a member of the Golf Writers Association of America, the Texas Golf Writers Association and the Football Writers Association of America.